We are sorry to announce that we had to cancel this event. 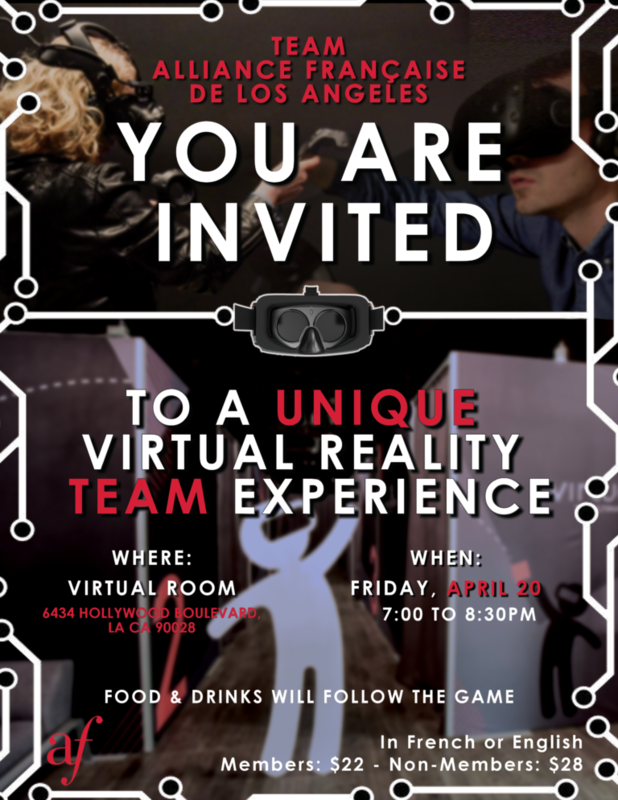 Come and have fun with us to the Virtual Room. Let’s create a Team Alliance Française together! In French or in English, you choose! Food and Drinks will follow the game. $22 for members – $28 for non members.